The main purpose of the Scholarships is to support international students to gain the skills and knowledge required to launch a business career by completing a Master of Management, Master of International Business, Master of Marketing, Master of Applied Finance or Master of Professional Accounting degree at the University of Auckland Business School. Academic merit is assessed by the GPA or GPE obtained over the applicant’s most recent two years of full-time graded study (or equivalent). The written statement should be no more than 500 words and must highlight the applicant’s potential to succeed in business studies at the University of Auckland and include details about their career goals, motivations and also demonstrate how they can be an ambassador for the University of Auckland Business School. Application by form is made to the Scholarships Office. The Scholarships shall be known as the University of Auckland International Business Masters Scholarships. One or more Scholarships will be awarded for a period of up to one year and each will be of the value of up to $30,000. To take up and be paid the Scholarship the recipient must be enrolled and have paid the fees, or arranged to pay the fees, for full-time study in a Master of Management, Master of International Business, Master of Marketing, Master of Applied Finance or Master of Professional Accounting degree at the University of Auckland Business School (see Note i). The take up of a Scholarship may be deferred for up to one intake (see Note ii). The basis of selection will be academic merit and a written statement (see Notes iii and iv). Preference may be given to students not receiving other financial assistance. The Scholarships will be awarded by the University of Auckland Council upon the recommendation of a Selection Committee comprising the Dean of the Faculty of Business and Economics (or nominee), the Director of the Graduate School of Management (or nominee), and the Director of Masters Programmes of the Graduate School of Management (or nominee). To continue to hold the Scholarship, the recipient must maintain a GPA of 5.00 (equivalent to a B average) in each quarter of study. The Scholarships will be paid as a tuition/compulsory fees credit for up to one year in equal instalments at the start of each quarter (see Note v). The Scholarships may be held concurrently with any other award or grant as long as a) the terms of that award or grant permit and b) the University of Auckland Council is informed and approves. The University of Auckland Council has the power to terminate or suspend a Scholarship if the Scholar withdraws from their programme of study. The University of Auckland has the power to amend or vary these Regulations, in consultation with the Dean of the Faculty of Business and Economics, provided that there is no departure from the main purpose of the Scholarship. Applications by way of a form close with the Scholarships Office on 15 January (for the April intake) and 1 June (for the September intake) in the year of the award. In accepting the Scholarship, the recipient authorises the use of their personal University of Auckland details and photo in promotional materials for the Business School’s programmes. In addition, it is anticipated that the recipient will participate as an ambassador at events which support and promote the Scholarships and studies in the University of Auckland Business School. In cases where there are adverse personal circumstances beyond a recipient’s control, the uptake of a scholarship may be deferred for up to one intake, and is subject to the approval of the Director of Masters Programme of the Graduate School of Management. Deferral requests must be made in writing to the Scholarships Office. Tuition/Compulsory fees are those related only to the relevant programme of study, plus Student Services Fee. These regulations are subject to Senate and Council approval. NOTE: Regulations are occasionally updated. Candidates must always refer to the regulations for current and comprehensive information relating to conditions of the scholarship(s)/award(s). NOTE: Regulations are occasionally updated. Candidates must always refer to the regulations for current and comprehensive information relating to the scholarship(s)/award(s). Scholarships Office, the University of Auckland. 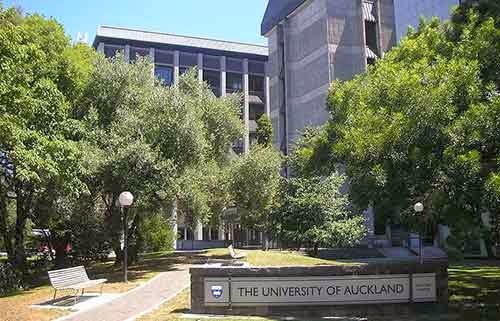 Demikianlah informasi mengenai University of Auckland International Business Masters Scholarships, New Zealand semoga berguna bagi anda.